When was the last time you felt cool, calm and collected at an airport security checkpoint? You might feel that way the next time you pass through the new “Experience Zone” at Oakland International Airport’s Terminal 2 (used by Southwest Airlines). Since last month, OAK’s security checkpoint area has been wrapped in colorful wall art, pumped full of soothing sounds from Pandora radio, and bathed in calm lighting, eye-catching videos and helpful displays showing current queue wait times. Instead of just stanchions, benches and tables like you see at most security checkpoints, here you’ll find hotel-lobby-quality furnishings, rugs and a soft, comfortable place to sit down and “recompose” after passing through security. 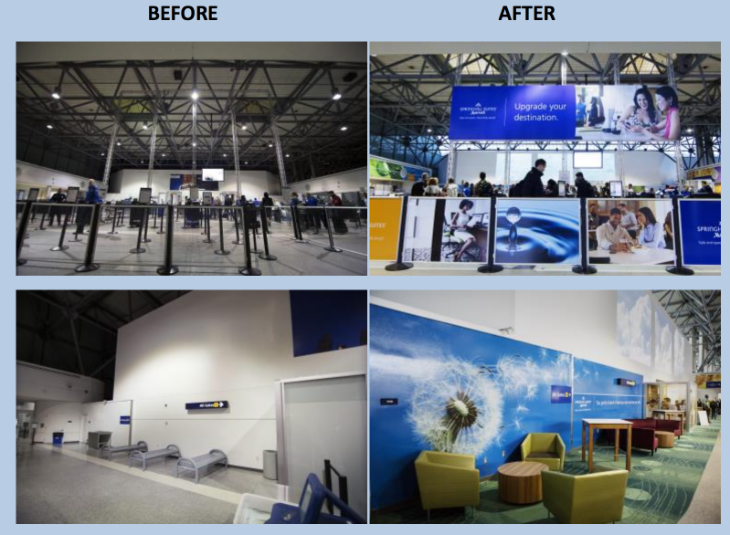 The new look is not just cosmetic– tests of similar airport Experience Zones show that security lines move about 25% faster than normal according to SecurityPoint Media, the company behind the effort. Take a look at this time lapse video below to see how Oakland’s airport security was transformed from a cold and foreboding space that felt like a warehouse into something warmer and more familiar. 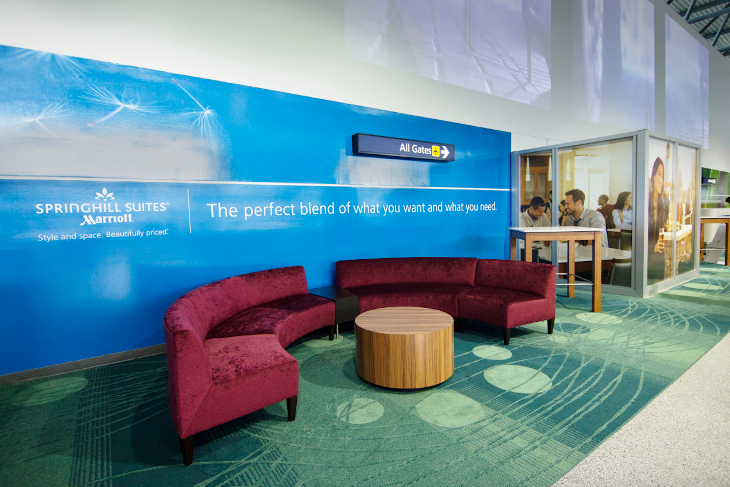 The enhancements are a collaboration between SpringHill Suites, Oakland International, and SecurityPoint Media, which as created similar installations at Chicago O’Hare, Dallas Ft Worth and Charlotte Douglas airports.